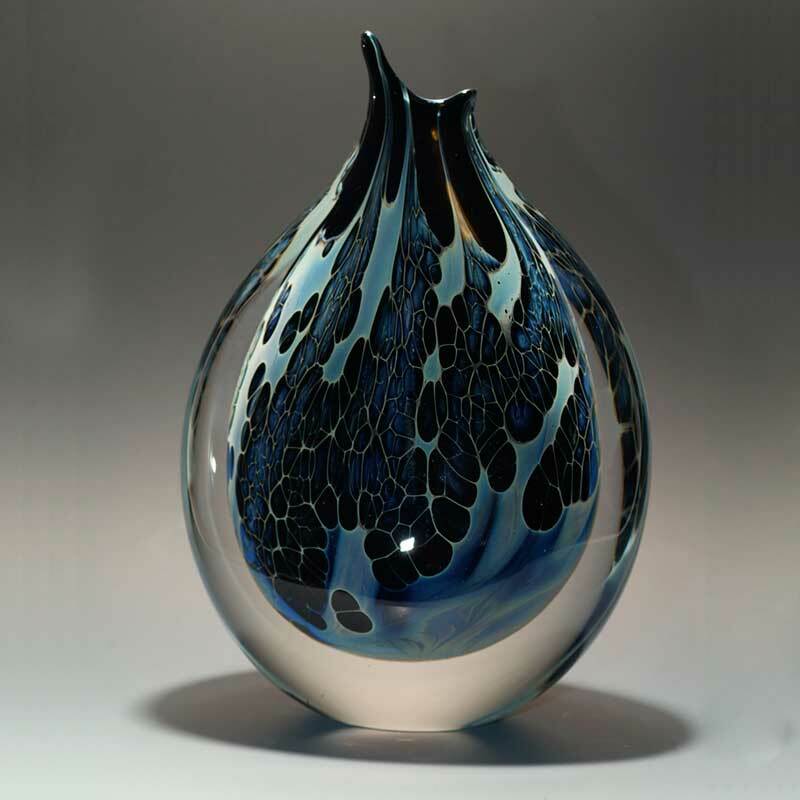 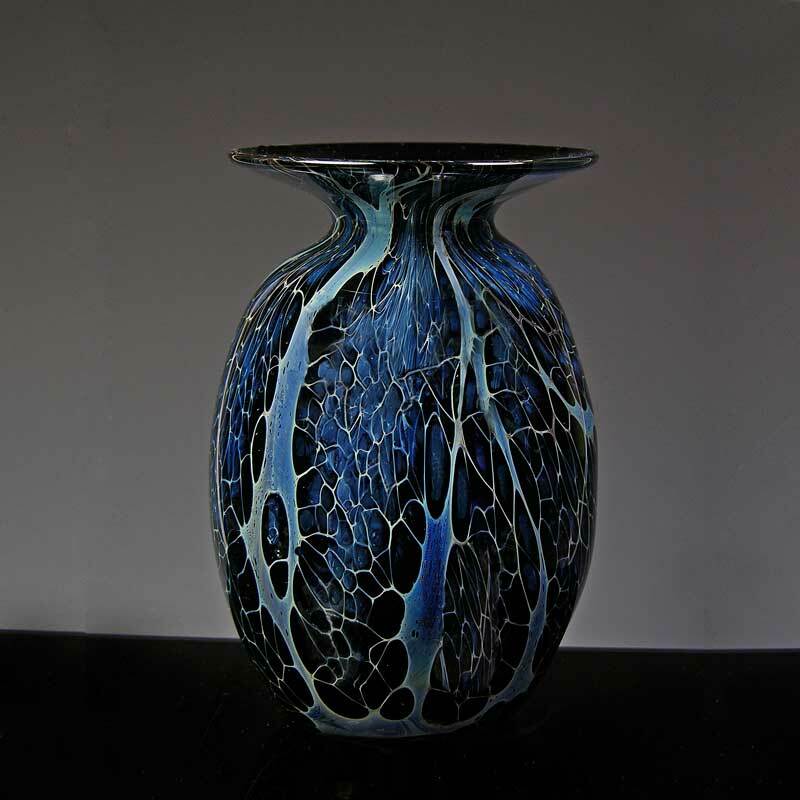 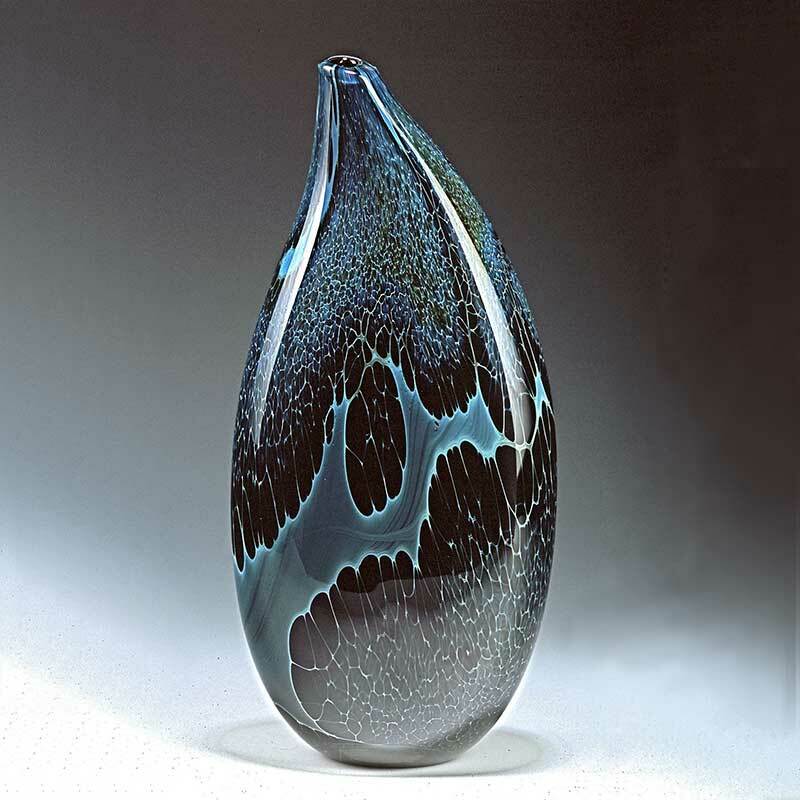 Slightly flattened vase is 5″ x 4″ and 9.5″ tall. 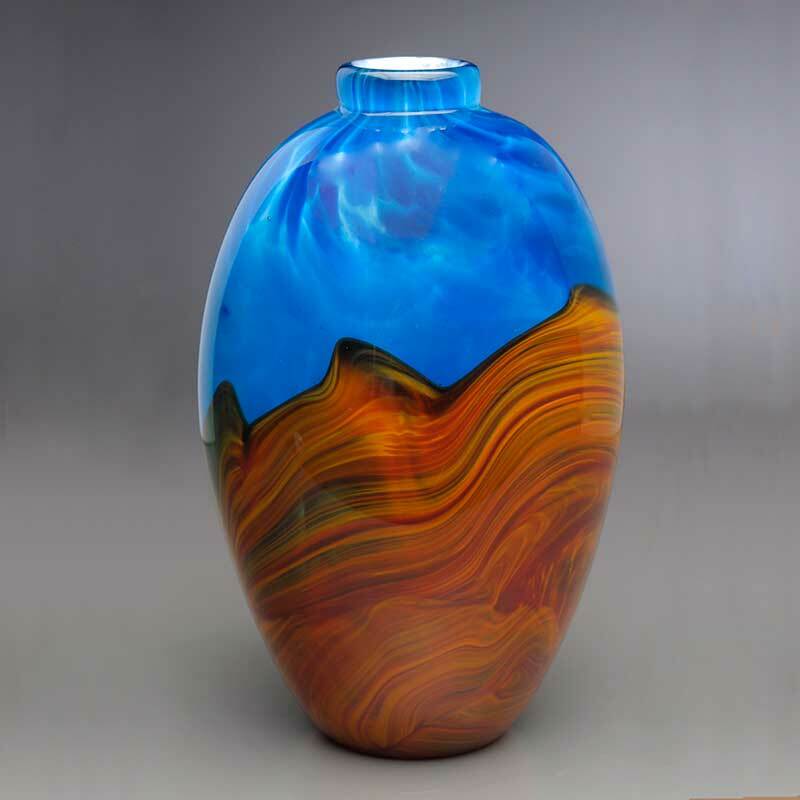 This hand blown glass vase was specifically made for flowers that tend to curve or lean to one side, like orchids. 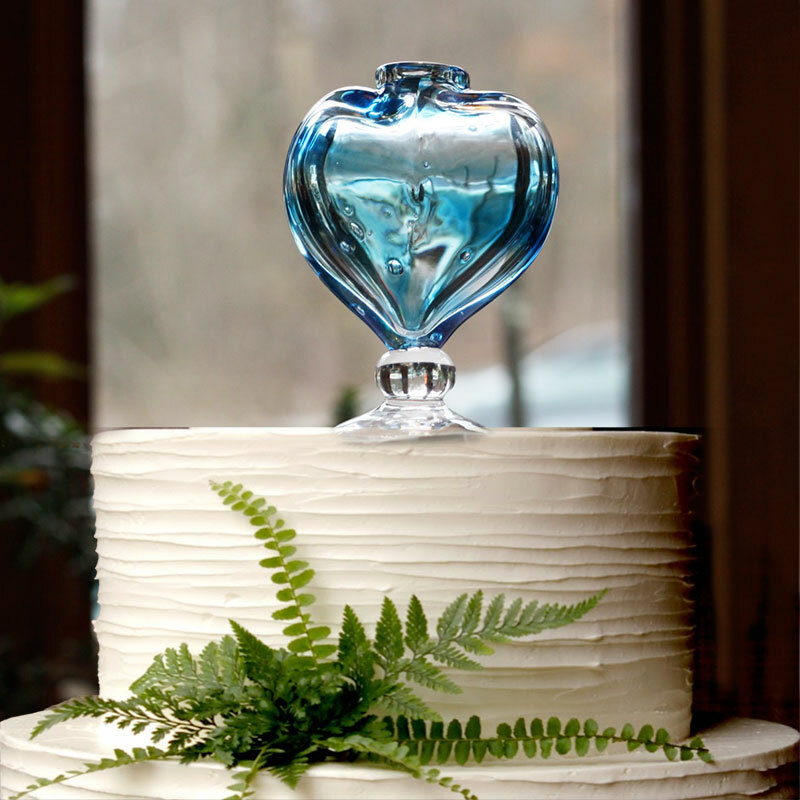 I try to keep the form as simple and elegant as possible and let the black glass with silver veil lace overlay encased in clear provide the elegance an orchid deserves.